Whether you’re planning your first vacation on Saint Barths or returning a second or third time to this idyllic Caribbean island, the eclectic, boutique family-owned Les Ilets de la Plage has just unveiled their top “10 Insider Tips” for the perfect Saint Barths getaway. 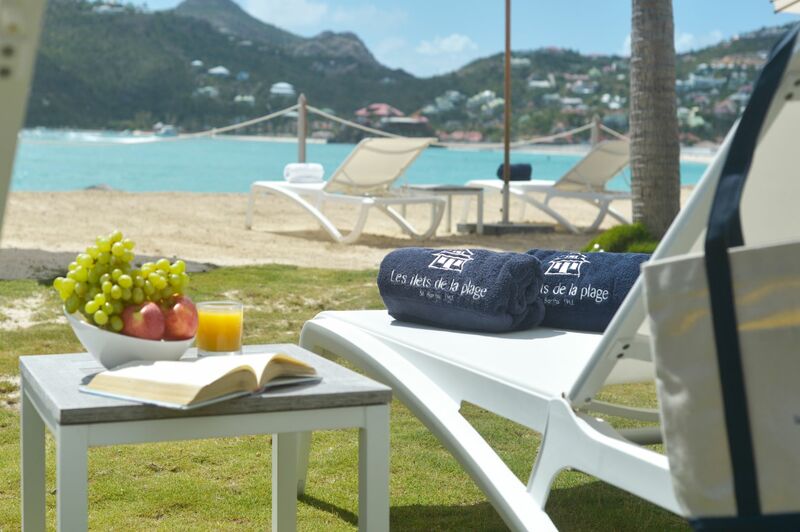 Summer is an ideal time to take advantage of island savings and discounts and for those looking for a picturesque Saint Barths experience without breaking the bank, Les Ilets de la Plage is the perfect hideaway for families, couples, friends and the solo traveler. 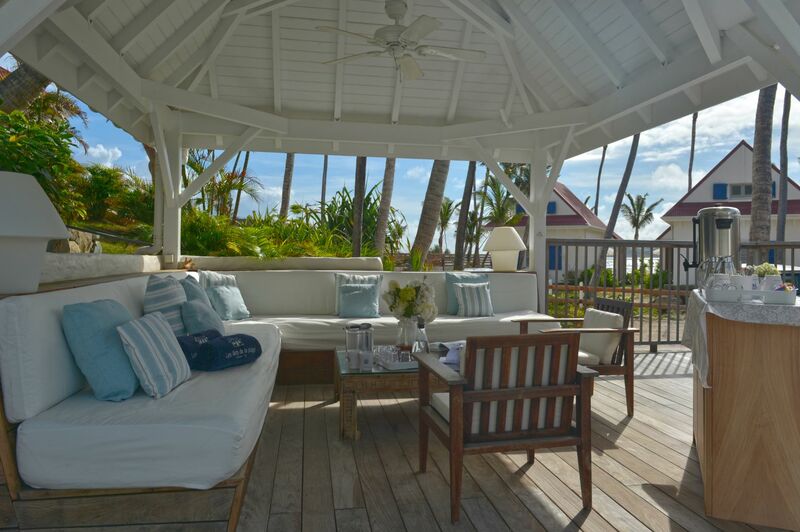 Following the hurricane season of 2017, Les Ilets de la Plage was the first property on island to reopen and took the opportunity to improve and upgrade resort-wide. They rewired the entire property, installed a new and improved Satellite TV system with US and French channels, set up a new internet system, installed new air conditioning units, new kitchens and new appliances, as well as all new furniture for the beach villas. The beach area was re-levelled and re-sanded with new parasols and sun-loungers arriving just in time for season. New trees and bushes were also planted throughout the property. While many hotels and resorts remain close for renovation throughout 2018, Les Ilets is a great option for those seeking intimacy and charm in a remote setting away from the hustle and bustle of the island. New for 2018: Les Ilets de la Plage is adding a brand new “studio apartment” featuring a living room, fully equipped kitchen, dining area, bedroom with en-suite bathroom, and a balcony with sea view. Slated for completion in the Fall of 2018, more details on this new studio apartment is forthcoming. Laurie Smith, Managing Director of Les Ilets de la Plage, has compiled these helpful “10 Insider Tips” for the perfect Saint Barths getaway for those looking for recommendations and suggestions on how to make the most of your holiday in Saint Barths. This remote Caribbean island has all the glamour of St. Tropez without all the pretentiousness that accompanies typical celebrity hotspots. It’s totally down-to-earth and accessible to anyone who wants a relaxing beach escape. Don’t be scared off by all the celebrity sightings—St. Barths is an utterly laid-back, hidden gem of an island, perfect for escaping the hustle and bustle of everyday life (that’s probably why the celebrities like it so much!). It’s got fabulous beaches, nearly perfect weather, and a steady parade of yachts and sailboats to entertain your eyes as you soak up the sun. Whatever you’re looking for in your next beach holiday, you’ll find it in St. Barths. Fly into Saint Maarten for easy transportation to Saint Barths. Unless you can charter your own plane, there are no direct flights to the island. And if you were to fly into Remy de Haenen airport in St. Jean, be prepared for a bit of a thrill—the tiny runway (just 2,100 feet, the shortest in commercial aviation) is flanked by St. Jean Bay on one end and mountains on the other. You can fly in from San Juan, Antigua, Puerto Rico, and Guadeloupe. You can fly from St. Maarten but there are fewer flights operating this year due to the hurricane. St. Maarten does have the most options, however. If you pass up the hair-raising flight, you can take a 45-minute ferry ride or any one of a number of private charter boats. Take advantage of great deals during the summer months. One of the many surprising facts about St. Barths is that it’s actually an amazing year-round destination. High season runs from December through April—and if you’re planning to visit during peak months, you’ll need to plan months and months in advance, and it will cost you twice as much as the off-season. The summer months, on the other hand, are quieter, less crowded, but still utterly beguiling—and you can get a deal on a villa with much less notice. If you’re into last-minute getaways, you’ll love summer in St. Barths. All of the beaches are public, free and rarely crowded. While it’s true you’ll find the occasional Caribbean resort-style, hotel-studded beach on St. Barths, most of them are secluded, remote, and frequented by locals. And all of them have that gorgeous, powdery white sand that feels so wonderful between your toes. (Except Shell Beach… the clue is in the name!) The most popular beach is St. Jean Beach, conveniently located near waterfront restaurants and shops—and perfect for snorkeling. Flamands Beach is the place to surf and bodyboard, while Grand Cul-de-Sac has calm, shallow water, a win for families with small children. Low-key lunches are a true highlight of Saint Barths. One of the highlights of a St. Barths holiday is spending long, lazy, rosé-fueled lunches with your feet in the sand. Shellona on Shell Beach has a rustic deserted-island ambiance and comfy loungers clustered beneath palapas—a wonderful way to while away an afternoon. La Langouste on Flamands Beach has lovely lobster (as you’d guess from the name)—choose your own from the tank and it’s delivered perfectly grilled to your beachside table. It’s located in the pool courtyard of Hôtel Baie des Anges—cool off with a dip between courses! No need for fancy dress clothes. Despite its posh reputation, you really don’t need to dress up when you visit most of the island’s 80-odd restaurants. Leave your ties and jackets at home—casual resort wear is the norm in St. Barths. Of course, if you really want to dress to the nines, put on your swankiest kicks and head to Bonito St. Barth, the Latin-French fusion restaurant where the beautiful people go. The restaurant at Villa Marie has a distinctly romantic vibe, the perfect place to celebrate a special occasion. There’s no public transportation, so a rental car is a must. Taxis are easy to come by, but they can be expensive. Fares jump after 8 pm and you need to arrange taxis in advance if you need a ride after midnight. For most people, a rental car is essential, then you can come and go as you please. It is much better value to hire a rental car and it’s easy to arrange one for yourself. If your concierge handles it for you, the agency can deliver it to your door—it really couldn’t be simpler. Travel medical insurance is a good idea. Les Ilets de la Plage is a great choice for travelers who seek privacy, but also want the amenities of a resort hotel. There are plenty of posh hotels on the island, but if you chose St. Barths to escape to a bit of privacy and seclusion, you can’t beat a private villa. Les Ilets has beach side and garden villas that offer the utmost in privacy with luxe accommodations and all the amenities you’d expect from a hotel. Our attractive one-, two-, and three-bedroom villas are perfect for a romantic couples’ retreat, a girls’ getaway, or a relaxing family holiday. In addition to gorgeous private beach access, there’s a private pool with cabanas and sun deck. We also have full concierge services—fresh croissants delivered to your door each morning, lunch and dinner reservations, grocery shopping, even childcare is easily arranged for you. It’s really the best of both worlds. There is life away from the beach. No one would blame you if you never wanted to leave your comfortable spot next to the sea, soaking up sun, sippy fruity island drinks, and enjoying the incredible views. But if you do want a bit of activity and adventure to round out your day, there’s plenty to do in St. Barths. The waters off St. Barths are ideal for snorkeling and scuba diving, and there are great spots for kitesurfing, bodyboarding, and all sorts of watersports. And if you like fishing, the Atlantic waters are filled with mahi mahi, bonito, wahoo, and marlin. Looking for a little retail therapy or some pampering? This is an island that draws the rich and famous—the shopping and spa services are world class.